This is an advanced solution to build your pages easily and intuitively. Thanks to its visual conception, the REVO Composer makes you be able to create your pages much faster, comfortable and efficiently than in a common way. 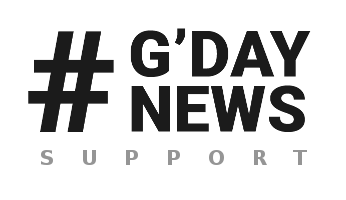 The GDay News Theme gives you possibility to choose between using of shortcodes and this advanced page builder. To start using of the REVO Composer, you first need to create a new page. After you choose the Add New Page option (or open an already created one), you will find the REVO Composer tab added above the content editor's tools. Click the tab and get started. Now, you can see an empty page content area divided into 12 columns and several groups of tools - page elements, which you can add to the page, compose and set up them, while the elements arrangement is visualized. Moreover, there is a live preview option to make you be able to see result of your work before you publish it. Settings: Use this tool to set up the main properties of the element. Preview: The live preview option. Allows you to see a real content of the element. Be aware of that depending on a content, the live preview may slow down work with the page builder. Copy: Click this icon to make a copy of the element, including its setting. Save: Use this option to save the element´s settings as a preset for this kind of element for the page you are working with. 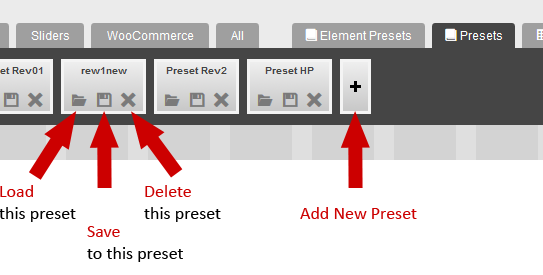 If you then add another instance of the element to your page, it will take the saved presets. Each element box contains a title field to be filled in or renamed. All elements can be rearranged by a drag'n drop method. Simply move your mouse over the element until a cross appears. Then move the box to the position where you want to place the element. NOTE: Every new element will be automatically put below the previously inserted ones. Then you can easily rearrange it. The REVO Composer allows you to work not only with the page content, but also with the entire layout. Simply click the Page Layout tab and choose the layout that best suits your needs. To assign your sidebars to the chosen layout, click the settings icon and follow the appropriate descriptions. Also refer to Sidebar Manager section. The GDay News Theme offers you through the REVO Composer several page presets you can use to instantly start creating your pages. Moreover, you are allowed to create or improve your own preset. You can manage your preset items by using the tools that are available on each of these preset's buttons (see the figure below). Load this preset: Selecting this option you load the preset. WARNING: All unsaved actions in your layout will be lost and overwritten by the selected preset. Save to this preset: Saves your changes to the selected preset. Delete this preset: This option deletes the preset. Add new preset: Click the [ + ] button to create a new empty preset to that you can save your actual preset.